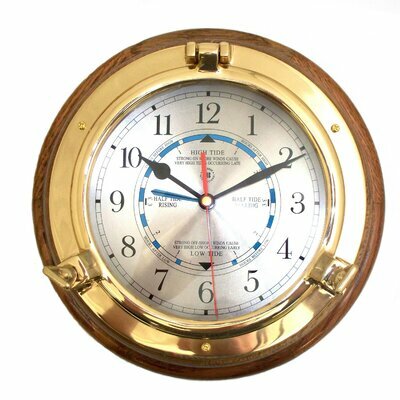 If you decorate or plan to decorate with a coastal living theme, beach theme or any theme that relates to living near the water, nautical clocks are one way to enhance the look in a room. There are many ways to go with a clock that this theme. 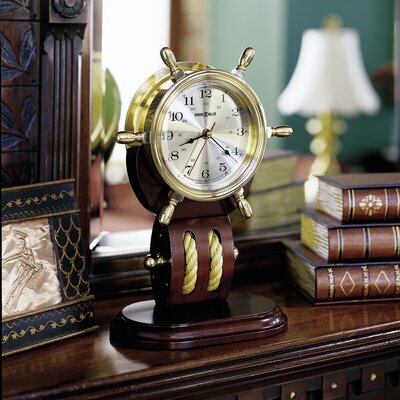 If sailing is your passion a clock with sturdy ropes might fit the space for a wall clock. Of course there are styles that look like they were made from the porthole of a ship and the standard ships wheel style that has been around for decades. 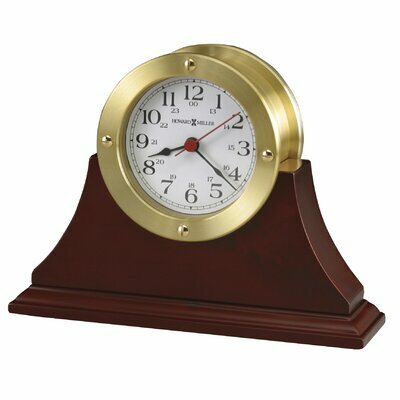 You can choose a style to hang on the wall, a clock that can sit on a mantel, shelf or table. Smaller ones might fit nicely on a desk. Rather than fill up a page with a bunch of links, I am just showing you three options for a wall clock that has a nautical theme to them. 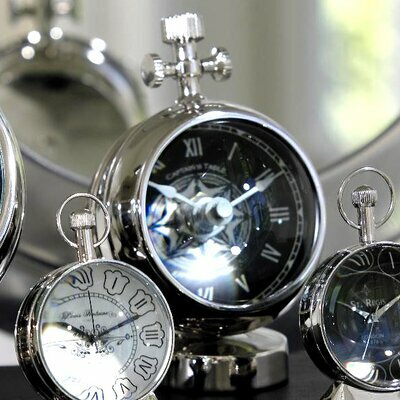 As you can see these types of clocks can be quite varied in their look. The rope one will look best in a casual style of decor and would not look so great in a more elegant setting. 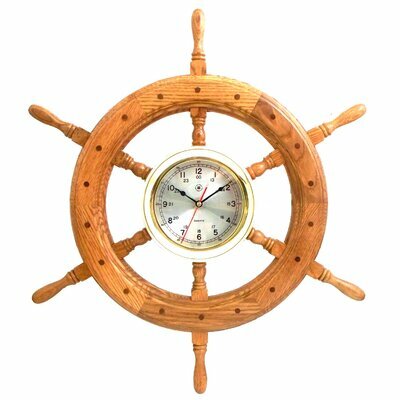 While the porthole and the ships wheel could fit in either casual, traditional or more elegant settings. Perfect to sit on the fireplace mantel, on a book shelf or a table. There are many different looks that one can choose when it comes to the clocks that sit on a surface rather than hang on a wall. You just pick the one that speaks to you and the style you are wanting to create in your room. Are you casual or formal? I found many other options but thought that the ones that I have showcased will at least stir your imagination and help you to see what options you have for adding a functional and decorative piece to your nautical style of living. The most important thing to keep in mind with any decorating scheme is to decide if you are going to have a casual look or a more formal look to the room. With casual you can opt for primitive looks along with whimsical designs and even throw in a fancier piece from time to time. In a more formal design a primitive piece is going to stick out like a sore thumb.